A Worthy Journey: Playground update! We have a playground update... wooo hooo! Yes, we are still wanting to build a playground for the kiddos. If you have been following our journey, you know that something that seems as though it should be simple really is nothing close to it! Handicap accessible playgrounds pre-built are super expensive, and many affordable playgrounds are just no where near accessible. I think that Dana playground, a local company, is willing to work with us to do something custom and I am realllllly praying it will be affordable. I should have a good answer in the next few days. After many, many months of searching, phone calls, e-mails, and questions, it is so exciting to be getting so close! I will keep everyone updated :). 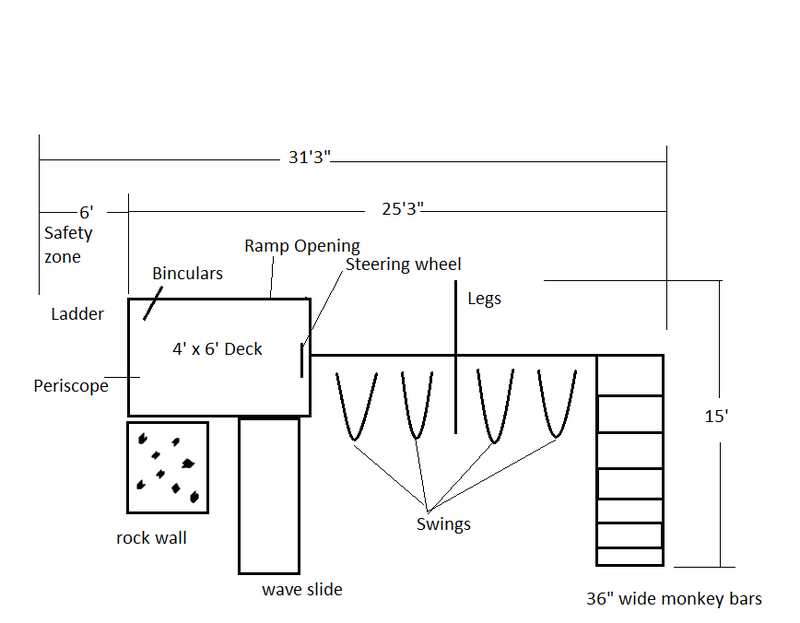 In the meantime, here is a preliminary sketch, without the ramp shown (and some modifications do need to be made to it). 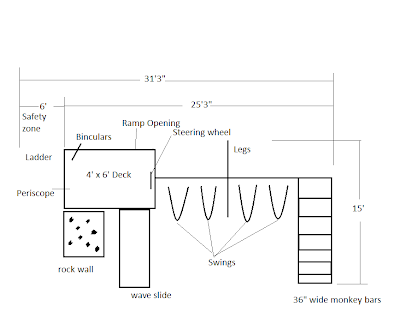 You also cannot see it, but the monkey bars are modified so that they can be wheeled through or used in HKFOs and there will be a modified swing. Curious to see how it turns out! We are wanting to build one for our backyard that is accessible so R can use it eventually.